What Thread Should You Use? One of the most important things to keep in mind when starting a sewing project is making sure you use the right materials. You want your finished product to look great and last as long as possible. Thread type and weight make a huge impact in that. Need to know what to use for your project? Here’s a handy little guide. Use a midweight cotton for this. Lightweight cotton can be used in the bobbin, but for most quilting fabric, a midweight cotton is best. 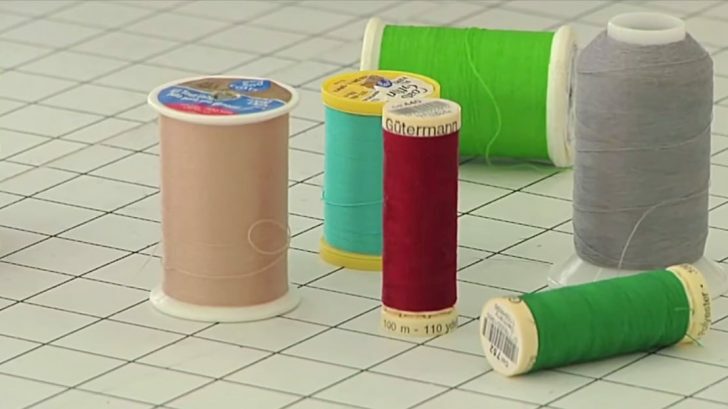 For most garments, polyester-wrapped cotton, or “all purpose” thread, works. Midweight polyester is great for knit garments. Stretch threads, like wooly nylon, may be used in the bobbin. Thread weight depends on the desired look, but rayon and polyester work best for this. You can use cones of wooly nylon in the loopers, but polyester serger cones are best otherwise. The perfect threads for this include lightweight cottons, silks, and other specialty threads. There are currently 3 systems for measuring the thread weight: Tex, Denier, and Weight/Ply. Tex is becoming the standard measurement. The Denier system is used for manmade threads like polyester. The “ply” in Weight/Ply will usually be 2 or 3 strands wound together. This is usually used for spun threads like cotton. Now that you know the basics, you can tackle that project. Happy stitching!